Parking possible outside the Embassy area after 6 pm for the time of the event or on 36th Street (access Embassy through the park behind the building). 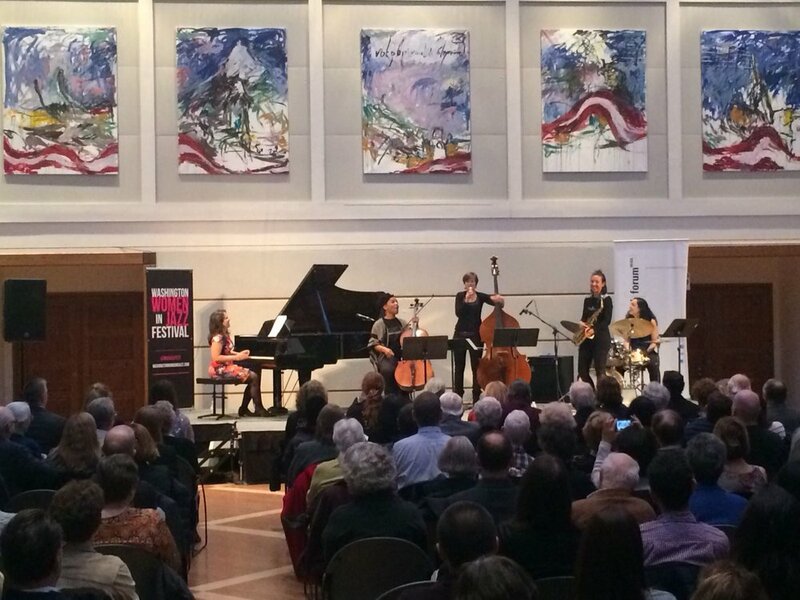 From March 10 to 18, 2018, the 8th annual Washington Women in Jazz Festival (WWJF) is taking place in and around DC, staging and celebrating female Jazz artists. Amy Bormet, founder of Washington Women in Jazz, and her team organize numerous events like concerts, lectures, discussions and jam sessions, with incredible, talented women performing. 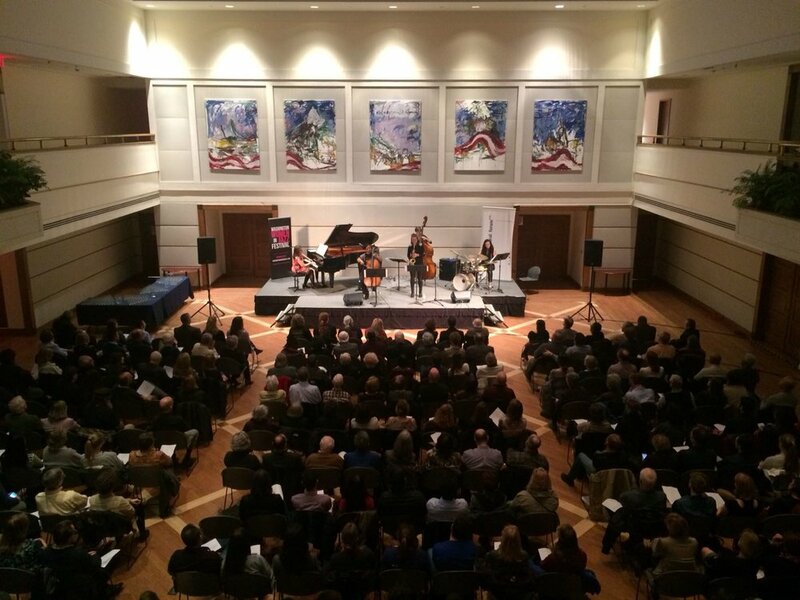 As part of the festival, the ACF Washington is proud to host a concert at the Austrian Embassy in Washington on March 13, 2018. The young Austrian bassist Judith Ferstl will perform together with Sarah Hughes (saxophone), Shana Tucker (cello), Amy K. Bormet (piano) and Ana Barreiro (drums), the Washington Women in Jazz Ensemble. The music will be a selection of new compositions from each performer for this collaboration between Judith Ferstl and the Washington Women in Jazz Ensemble. Judith Ferstl (*1989) grew up in Wiener Neustadt in Austria and has lived in Vienna since 2008. As a double bass player and composer she can be heard in various formations working with different styles of music. Her main focus lies on improvised music and Jazz, e.g. with her bands “chuffDRONE“ and “Klio“, where original compositions of all band members are played. She plays in small formations like a duo with singer/guitar player Lucia Leena (”Juneberry”), in a quartet, which is the expanded version of this duo with violin and cello (“June in October“), as well as in bigger ensembles like the sextet ”Gnigler” with two saxophones, trumpet, violin, drums and bass. Judith Ferstl finished her studies at the Music and Arts University of the City of Vienna in Vienna in 2012, including an Erasmus exchange semester at the Royal College of Music in Stockholm. After her studies in Vienna she continued her pedagogical studies under Peter Herbert at the Anton Bruckner Privat University in Linz and got her degree in 2014. Currently she is completing her Master´s Degree at the University of Music and Preforming Arts Vienna. Judith Ferstl won the “BAWAG P.S.K. Next Generation Jazz Award“ with the band “chuffDRONE“ in 2013 and with “Gnigler“ in 2015. She was selected for the “SKE annual award 2017“ as well as the “Start-Stipendium“ of the Austrian Federal Chancellery (Bundeskanzleramt) in 2015.